It’s that time of the year when we pay particular attention to the weather in the southern states. A popular app for the waiting time is Accu Weather on our iPads. It has the expected forcast information, as well a nice moving radar view and current weather videos. It used to be we could watch on a little self power pocket TV the local reporting but over-the-air isn’t what it used to be so now we turn to our iPads. A couple items that you may have missed if you just use Accu Weather for the forecast… there are small day/night icons on the five-day forcast screen. When you tap these, Accu Weather shows you the quantity of Precipitation. A handy bit of info when it has been falling from the sky for a while. A quick way to see if you can turn the sprinklers off in the morning too. 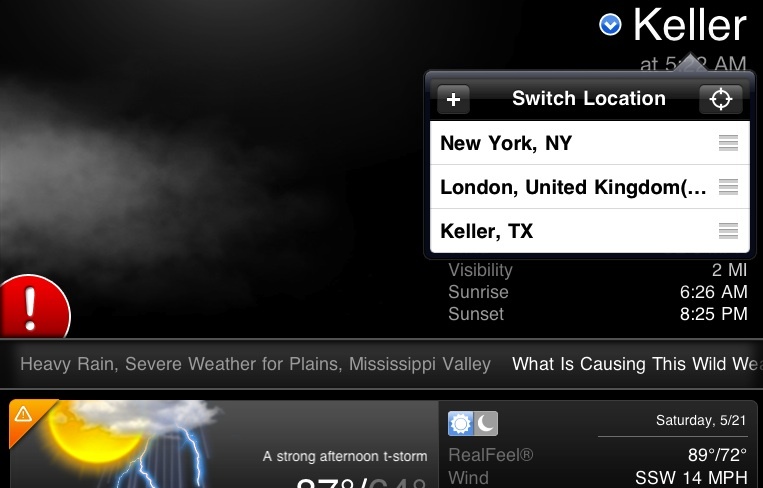 Some weather apps want to show you a selections of cities in a list with their weather. While interesting, is it important to see that information at a single glance? 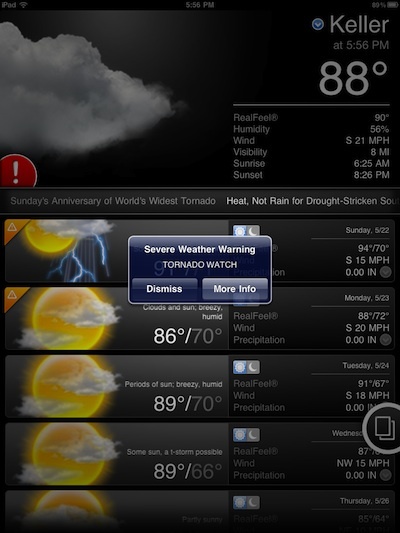 Accu Weather does still allow you to view weather in cities that you choose. Just tap the city name in the upper right corner of the screen.